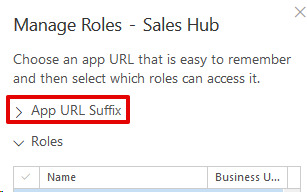 However, when I'm on my iPhone using the native Dynamics 365 app (deleted and reinstalled to make sure I had the latest), after connecting to the Sandbox URL, I see only the following two options. Which is the native/vanilla/OOB one? I was thinking I'd see something corresponding to the top right in the tiles in the first screenshot ("Dynamics 365" straight up). I'm guessing I'm missing something basic, but I thought I had seen the basic/regular option before we upgraded to 9.0. Using the Customer Service Hub doesn't make sense for our organization because we're looking for Accounts, Contacts, Opps, and one custom entity....the focus of the Customer Service Hub isn't aligned. So, is there another option I'm missing or is it best to start from scratch? @Cherish Orozco - The Dynamics 365 Mobile App uses the new Unified Interface for the interaction. If you are trying to compare the UI experience between the mobile app and the browser, then you need to ensure you are using the Unified Interface in the browser as well. Also, the menu navigation is controlled by the Site Map within the model-driven app under customizations. This is also where you will define which forms, views, dashboards, etc. are made available within the app. You will need to think (roughly) about Dynamics 365 in this way: The foundational layer is the Common Data Service. On top of this is the ​Dynamics 365 application solutions. On top of that is the model-driven apps. The native model-driven apps are the Customer Service Hub, Sales Hub, etc. However, you can create your own app to meet your specific business needs. You can even use an existing model-driven app as your starting point and then customize from there. You can check out my article on how to create these custom apps. While the article is from 2017, and some small things have changed (such as the wording from "apps" to "model-driven apps"), the premise is still the same. I have had good luck with making a copy of one of the new apps as a starting point for building our own. Generally speaking, they're about 60-80% of what we need anyway, which really reduces the scope of work to make it unique to our clients. Of course, if you're working in a process that is more XRM and not the traditional sales/service flows CE supports, that might not work very well. Navigate to the "My Apps" area under "Settings". 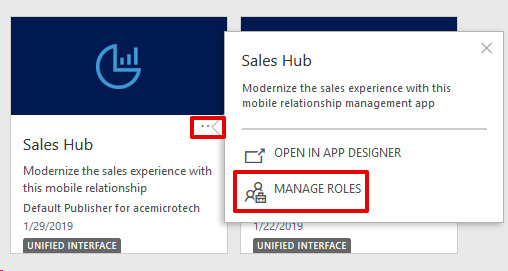 Click the 3 dots in the corner of the app tile and select "Manage Roles"
At the top of the side panel, click on "App URL Suffix". Then you can update the wording.